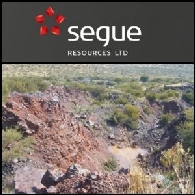 Segue Resources Ltd (ASX:SEG) (OTCMKTS:SGRSF) is a Western Australian focused minerals exploration company exploring for gold, lithium and nickel. 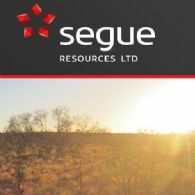 Segue Resources Ltd (ASX:SEG) (OTCMKTS:SGRSF) is pleased to announce that it has identified multiple gold targets from its recently completed reconnaissance BLEG programme at the Barlee Gold Project, 180km north of Southern Cross in the Eastern Goldfields of Western Australia. 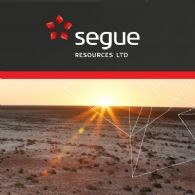 Segue Resources Limited (ASX:SEG) (OTCMKTS:SGRSF) is pleased to announce that it has commenced a surface geochemical survey at the Gascoyne Lithium Project to follow up on high priority LCT (lithium-caesium-tantalum) pegmatite prospects identified in the previous project-wide stream sediment programme. 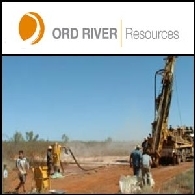 Asian Activities Report for July 6, 2011 includes: Segue Resources Limited (ASX:SEG) has signed an agreement to acquire up to 51% of the Emang Manganese Project in South Africa; Radar Iron Limited (ASX:RAD) has identified significant magnetite mineralisation at its Die Hardy project; African Iron Limited (ASX:AKI) announced over 80% increase to the aggregate exploration target size at the Mayoko Iron Ore Project in Congo; Reed Resources Limited (ASX:RDR) has secured the opportunity to acquire the Nannine Mining Centre in Western Australia.